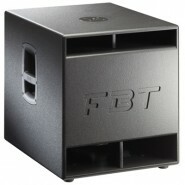 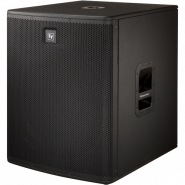 The SUB 705-AS II is a compact and powerful bass reflex subwoofer. 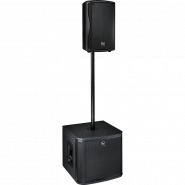 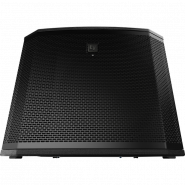 It is equipped with a 15” high power woofer with 3” voice coil,..
18-inch DVX woofer for extended low-frequency response 1800 W Class-D power amplifier with integrated FIR-Drive DSP 135 dB ..
15-inch DVX woofer for maximum punch 1800 W Class-D power amplifier with integrated FIR-Drive DSP 134 dB peak SPL Special.. 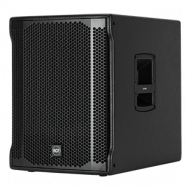 Processed Active Subwoofer 600W 131 / 135dB SPL - Compact band-pass design Subwoofer with high SPL and punch - ..
12-inch powered subwoofer Extending the ZXA1's size-defying performance and sleek styling into the low-end realm, the ZXA1-Sub .. 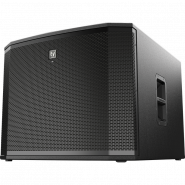 Active subwoofer in bass-reflex design · 2 x 8” (200mm) custom neodymium, h..
ELX118 performance with self-amplification EVS-18K woofer for extended LF 32 Hz – 130 Hz frequency range Lightweight, c..